China and Japan began a high-level security meeting in Tokyo on Thursday in the latest attempt to resolve their long-standing territorial dispute. The meeting, which comes ahead of planned trilateral talks involving South Korea, is the first security talk between the two Asian nations since 2011 when they got embroiled in a dispute over a cluster of islands in the East China Sea. “It is a fact that Japan and China have concern about their respective security policies … we expect that (the two countries) will significantly promote communications in the security and defense fields,” Japanese Deputy Foreign Minister Shinsuke Sugiyama told the meeting, adding that both sides hoped to discuss “intentions and thoughts” behind each other’s defense policy, according to a report by South China Morning Post. 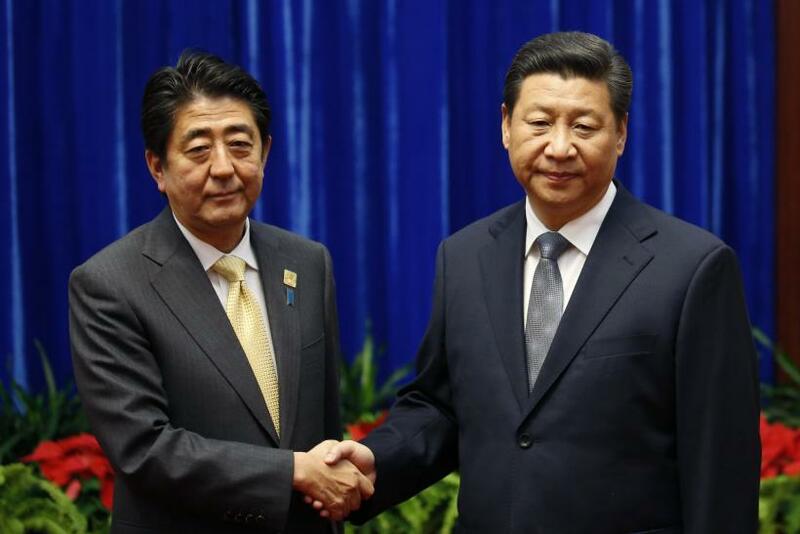 The meeting comes just months after Chinese President Xi Jinping and Japanese Prime Minister Shinzo Abe met on the sidelines of the Asia-Pacific Economic Cooperation summit in Beijing and resolved to launch a maritime crisis management mechanism to prevent clashes in the sea. At the center of the long-standing territorial dispute is a cluster of eight uninhabited islands, known by China as Diaoyu and by Japan as Senkaku. Both countries lay claim to the islands as the waters in the region offer rich fishing grounds and are thought to contain oil deposits. In recent months, following alleged incursions by Chinese coast guard vessels into Japan’s territorial waters, tensions between the two nations have only increased, raising concerns of a full-scale conflict. China has also accused Japan of attempting to whitewash its World War II atrocities after Abe visited the controversial Yasukuni Shrine in August last year. The shrine honors Japanese soldiers killed in the war, many of whom China claims are war criminals.